New Delhi : Filmmaker S.S Rajamouli's recently released film Baahubali is going well on the box office and breaking records of Bollywood films. The film has crossed the collection mark of 100 Crore on the box office. Film has earned 135 Crore yet. On the first day, film collected around 50 Crore rupees and broke all the records of Bollywood films. The collected 5 Crore on the first day of its Hindi version released. and 7 Crore on its 2nd day. Alone its Hindi version collected 12 Crore and 62 Crore rupees from outside of India. With a lavish budget of rupees 250 Crore, it marked 135 Crore collecton. This news of collection will definitely put a smile on everyone's faces. This is the biggest ever opening for an Indian film, surpassing even Bollywood blockbusters like Happy New Year and Dhoom: 3," trade analyst Trinath said. "Going by the early estimated figures for the second day, the film could have already entered the Rs 100 crore club worldwide," he said. On the first day, the film collected Rs 50 crore in India, with an additional Rs 16 crore coming from overseas. With the distributor net share of Rs 42.3 crore on the first day in the country, Bahubali has surpassed Happy New Year (Rs 42 crore), Dhoom: 3 (Rs 32 crore), Singam Returns (Rs 31.8 crore), Chennai Express (Rs 31 crore), Ek Tha Tiger (Rs 30.3 crore), Bang Bang (Rs 28 crore), Kick (Rs 26 crore), PK (Rs 25 crore) and Agneepath (Rs 22 crore). Released in Telugu, Tamil, Malayalam and Hindi parallelly, Bahubali has surprisingly performed extremely well in all the languages. In its Hindi version, it netted Rs.5 15 crore on the first day, making it the highest opening for a dubbed film. "The record was previously held by Rajinikanth-starrer Robot with Rs 2.2 crore and Kamal Haasan's Vishwaroop with Rs 1.9 crore. 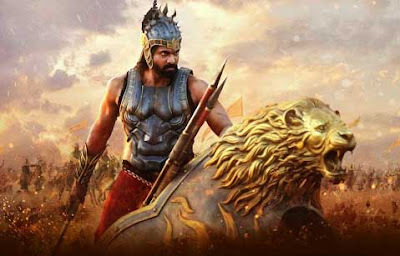 Going at this rate, the Hindi version of Baahubali is looking at Rs.15 crore net in its opening weekend," Trinath said. Bahubali is also the biggest earning South Indian film on the opening day. The previous best opening was held by Rajinikanth-starrer Lingaa, with Rs 22 crore and followed by Shankar-directed I with Rs 20 crore. It's not only in India where the film has raked in the moolah. In US, it has set the cash registers on fire. Bahubali Telugu version collected a whopping Rs 14.96 crore from Thursday premieres and Friday,"according to trade analyst Taran Adarsh. In its opening weekend in the US, the film is expected to touch $5 million. Aamir Khan's PK had collected $3.1 million in its first weekend in US. Bahubali has already crossed $2 million from Thursday and Friday," Trinath added. Producer Dil Raju, who distributed the film in Nizam area, is extremely happy with the numbers. "The film has showcased the true potential of Telugu cinema. It has shown the world we can produce films that are content driven and still commercially successful. The film is doing extremely well and is on its way to become the biggest blockbuster in Indian cinema," Raju said. Bahubali released on as many as 4,000 screens across the globe.